As protests grow in size and frequency across the country, Syrians are beginning to ask, what’s next? There is little reason to believe that the government will back down any time soon, despite increasing condemnation from the international community. And given Assad’s track record of offering reforms while continuing to kill and imprison demonstrators, the opposition is unlikely to be happy until they see the regime overthrown. There are therefore two potential ways for the Syrian uprising to evolve. The first involves economic pressure on the regime, which will most likely involve Turkish sanctions, a worsening economy and the eventual shifting of allegiance of the traditional merchant classes in Damascus and Aleppo. 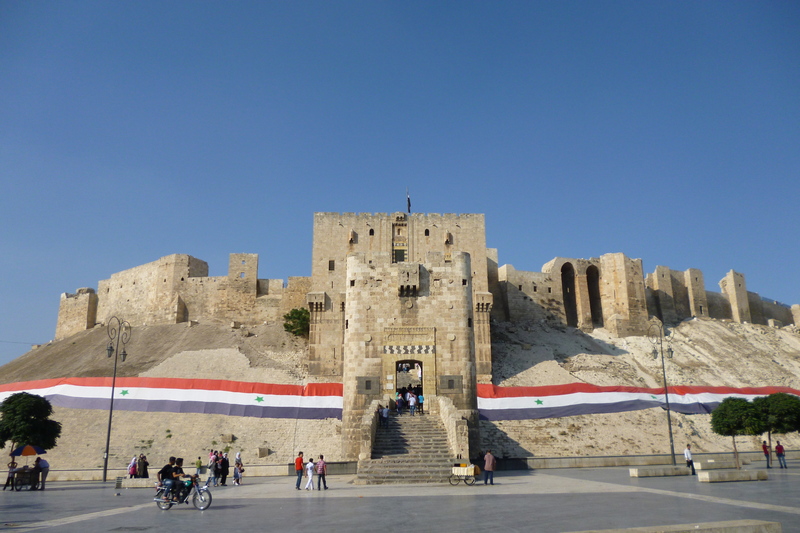 Without this crucial support base, Assad would not be able to hold out indefinitely. Alternatively, the Syrian unrest, which is currently an uprising hoping to become a revolution, could see rising levels of violence, resulting in a civil war. Unfortunately, journalists and long-time Syria observers whom I have spoken to here are increasingly predicting the eventual emergence of civil war. Such a conflict could follow similar patterns to Libya, where the country is eventually split in two along political grounds. Or it could be a far more complicated environment, with conflict driven by religious, ethnic and even regional geopolitical factors. The unrest is still several stages from all-out war. Various political and military conditions will have to be met. One of the most crucial factors will be the state of the Syrian armed forces and the regime’s ability to maintain loyalty. Splits within the army are already starting to emerge. There are increasing signs of fragmentation within the largely Sunni rank and file. Video testimonials from defected soldiers float are plentiful and there are reports of gun battles between loyal and defected soldiers. Last week the Syrian Free Army announced their formation, although little has been heard from the group so far, and doubts have been raised as to whether the men in the video are even real officers. But a civil war will require far more than isolated cases of disobedience and defection. As we have seen in Libya, one of the greatest challenge faced by any rebel army is a shortage of weapons and ammunition. Even in Libya, where entire brigades, along with all their resources and firepower, joined the opposition, the rebels quickly used up their available ammunition and struggled to put a weapon in the hands of each infantryman..
From the very beginning of the uprising, there were reports of weapons being smuggled in via Syria’s two war-stricken neighbours, Lebanon and Iraq. Initially many of these reports may have been fabricated by the regime to encourage the idea that the unrest was caused by armed militants. But articles by the NPR and the Daily Star provide good reason to believe that light arms are indeed being transported across the Iraqi and Lebanese borders. Some protesters say they should resort to violence. In towns such as Tel Kalakh, Jisr al-Shughour, Idleb and Deir ez-Zor, which are near the border, weapons are being smuggled in. But rifles and Molotov cocktails are no match for tanks and artillery. Other protesters hope that, if the regime becomes even more brutal, chunks of the army may defect, as they did in Libya. The need for weapons may have also inspired the attack on a Homs army college in late July. After weapons, any would-be rebel army will need some form of safe zone, a haven in which to organise and train, akin to eastern Libya where the rebels have effectively founded a parallel state. When the Syrian army launched its assault on Jisr al-Shughour there was talk of Turkey moving in to Syrian territory to set up a buffer zone in order to protect the thousands of refugees massing on the border. Such a zone could function as friendly territory for civilian opposition groups and defected soldiers. Alternatively, were the army to lose both Homs and Hama to the opposition, they would also lose control of the Aleppo-Damascus highway. This would severely limit the regime’s ability to move troops between the two largest cities and create a zone in the centre of the country outside of government control. While the threat of civil war becomes more likely with each passing week, the possibility of a more drawn out conclusion, driven by internal economics and international pressure, is also emerging. With its past experiences in the region, the US is very wary of another failed Muslim state. As such it is quietly pursuing a gentler resolution to the crisis, founded on sanctions and diplomatic pressure, most importantly from Syria’s Muslim and Arab neighbours. So far it has also shied away from explicitly demanding that Assad step down. Without an organised opposition, Syria would experience a devastating power vacuum were Assad to relinquish control. Most importantly the West should not be under any illusions that the unrest can be resolved quickly or easily. Assad is not going anywhere anytime soon.